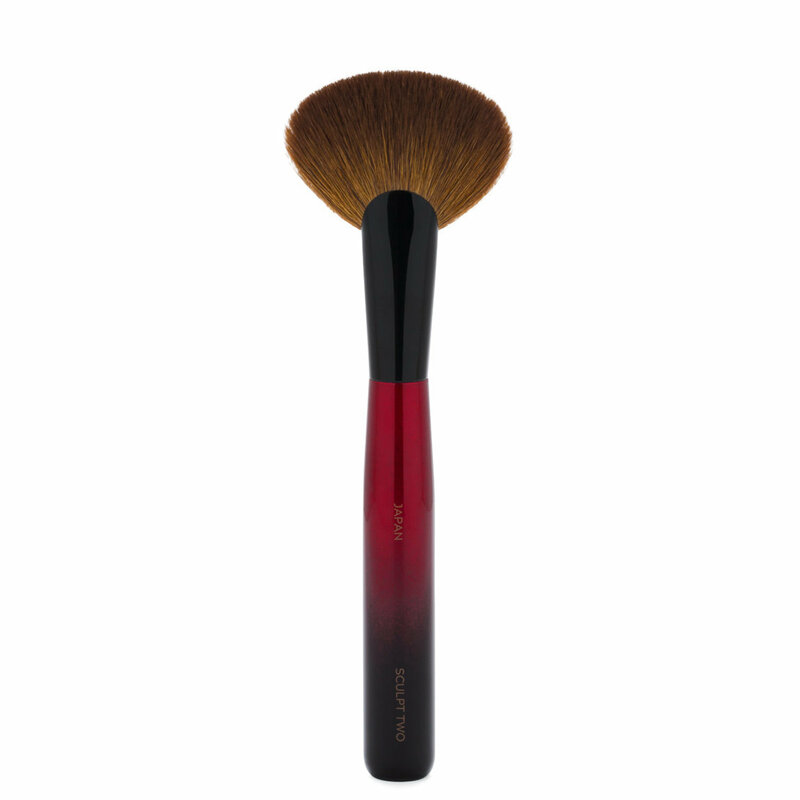 The newly updated Sculpt Two brush breathes new life into sheer or powdery products that are difficult to apply. The airy, fan-shaped head picks up even the most stubborn powders and applies them with buildable payoff. It’s also perfect for creating a dramatic contour, blending away streaks, and cleaning up skin after baking with setting powder. “Some products play hard to get, and this brush is dedicated to them all. The fan shape is dense and powerful, so it can pick up the toughest powders and blend anything.” — Sonia G.
Pick up product with the tip or the sides of the brush and tap off any excess. Apply in short back-and-forth motions to work the product into the skin. I wanted the original Sculpt Two brush, but has been out of stock for some time now so was very happy to see this! this brush performs so well, what a great addition to the collection. I use it for contour, hilight, anything really, a good work horse. I do wish she could bring back the first brush as it is a little tighter, but am happy with the performance of this one. Always room in my collection for another Sonia G brush! I haven't been a fan brush lover till Wayne Goss & this brush. Getting a lot of use. Perfect density & softness. I also love holding it. Nice handle, not 2 long or bulky.